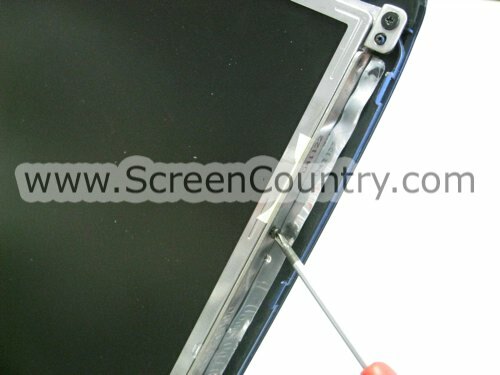 FAQ and Articles - Screen installation. General Instructions. HomeFAQ and Articles	Screen installation. General Instructions. ATTENTION! Internal laptop parts, cables and sockets are very fragile, and can be easily fractured and damaged if handled carelessly. 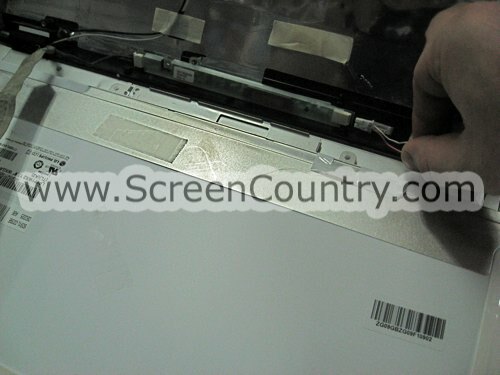 Links to manuals for Apple laptops may be found at the end of the page. 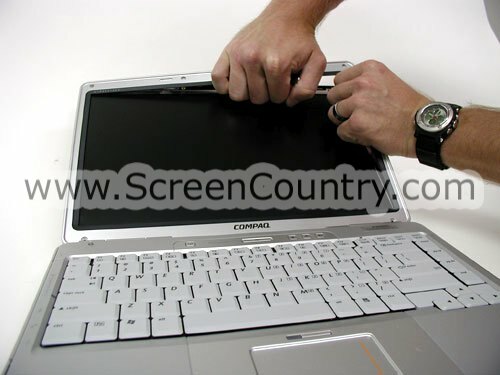 General instructions for PC laptops. 1. 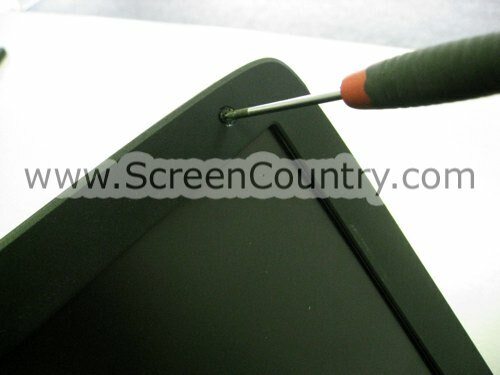 Remove rubber and plastic grommets using a sharp object. They may be located at the front or sides of the display assembly. 2. 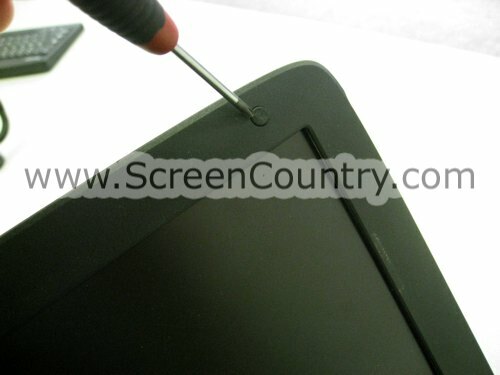 Remove the screws, covered by the grommets. 3. 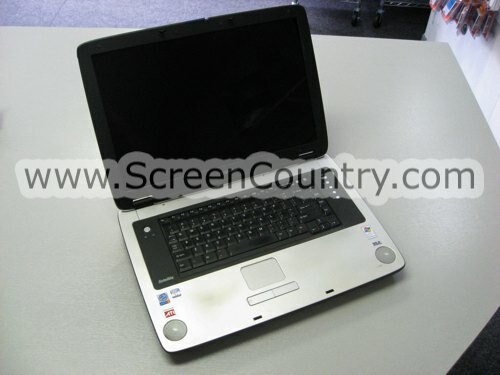 Remove the front bezel. Starting form either side, grab the bezel with your fingers and work your way around the perimeter. If needed, start disconnecting the panel from two different sides, until it snaps off completely. 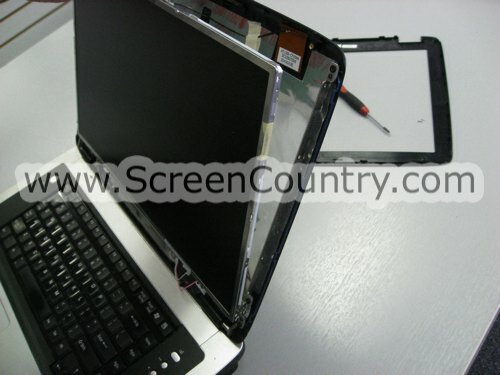 For some laptop models you may need to remove the latches, which are located at the bottom of the front bezel. 4. 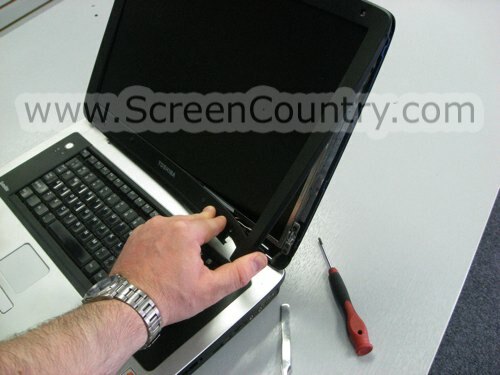 Place the screen in a way so it is easy to remove the screws, that are holding the screen on the side brackets. 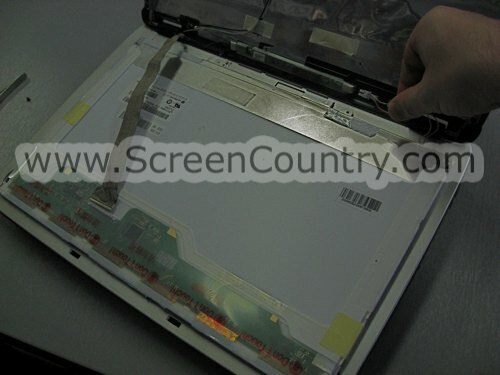 After removing all the screws, place the screen on the keyboard, covered with a soft cloth. 5. 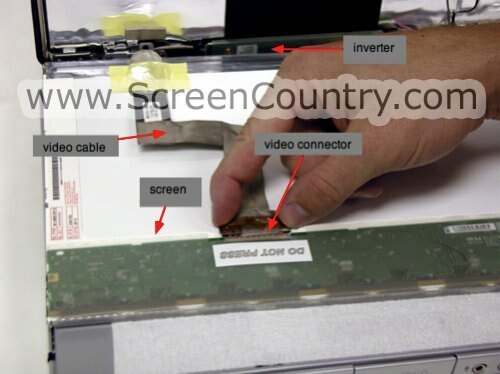 Disconnect the video cable by taking off the tape at the bottom of the screen (usually, hardly visible). Using fingernails, slide the inverter cable out of the socket. 5. Lift up on the sticky tape (if any). 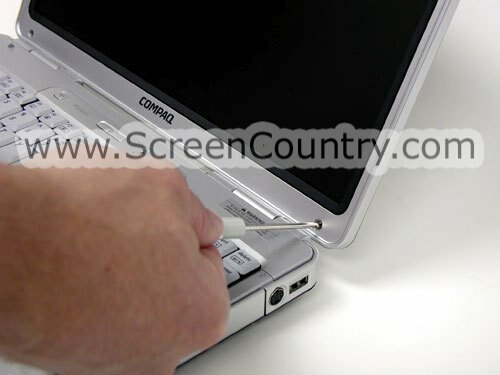 Using your fingernails, slide the video data cable out of the video data connector port. Inverter is a slender device that provides power to the backlight. 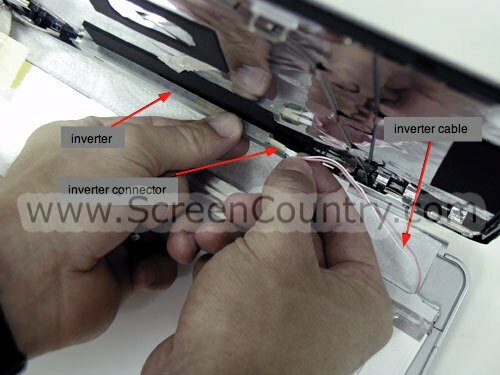 Using fingernails, slide the inverter cable out of the socket. To assemble the laptop, follow these instructions in a reverse order.